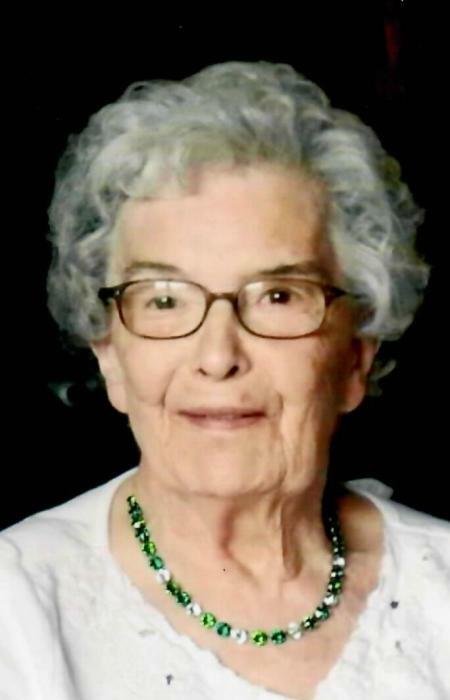 Obituary for Loretta Faye (Marsh) Berkey | Meek & Dalla Valle Funeral Home, Inc.
Loretta F. Berkey, 84, Windber passed away November 17, 2018 at Siemon's Lakeview Manor, Somerset. She was born April 14, 1934 in Paint Twp. She was the daughter of the late William J. and Velma R. (Maines) Marsh. She was preceded in death by Brinton M. Berkey, her loving husband of 52 years. Also going before her were her sister Lorraine Bennett and brothers Gerald, William D., and Milton Marsh. She is survived by her sister and faithful companion Georgiana Seese and her daughters Janet (wife of John P. Vatavuk), and Cindy (wife of David Nihoff), and step-daughter Judy Campbell. Grandmother to Michael Vatavuk, Shelly Snyder, Chad Nihoff, Corey Nihoff, Sandy Wagner, Jeff Campbell, Eric Campbell, and 13 great grandchildren. The family will receive friends from 2 to 8 p.m. Sunday Nov. 25, 2018 at the funeral home where a brief memorial service will be held at 7:30 p.m. by the Rev. Nila Cogan. Private inurnment will be at the convenience of her family at Berkey Cemetery. In lieu of flowers memorial contributions are requested to Windber Hospice, 600 Somerset Ave., Windber, PA 15963 in Loretta's memory.